Great news! 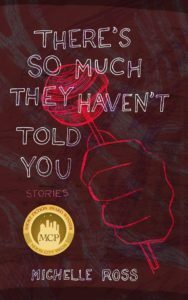 Michelle Ross’ forthcoming collection, There’s So Much They Haven’t Told You, is available for pre-order via the Moon City Press page on the University of Arkansas Press’ website, which can be found here. Ross’ collection won the 2016 Moon City Short Fiction Award.